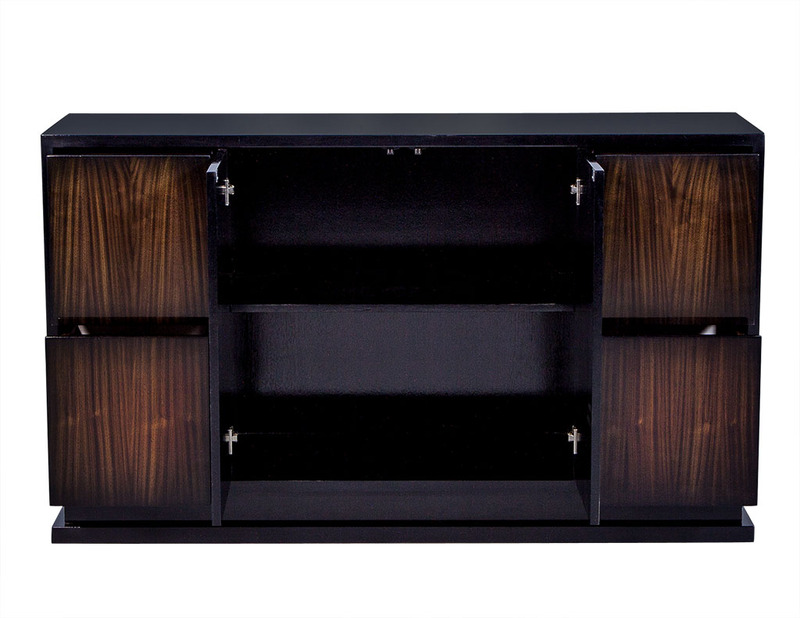 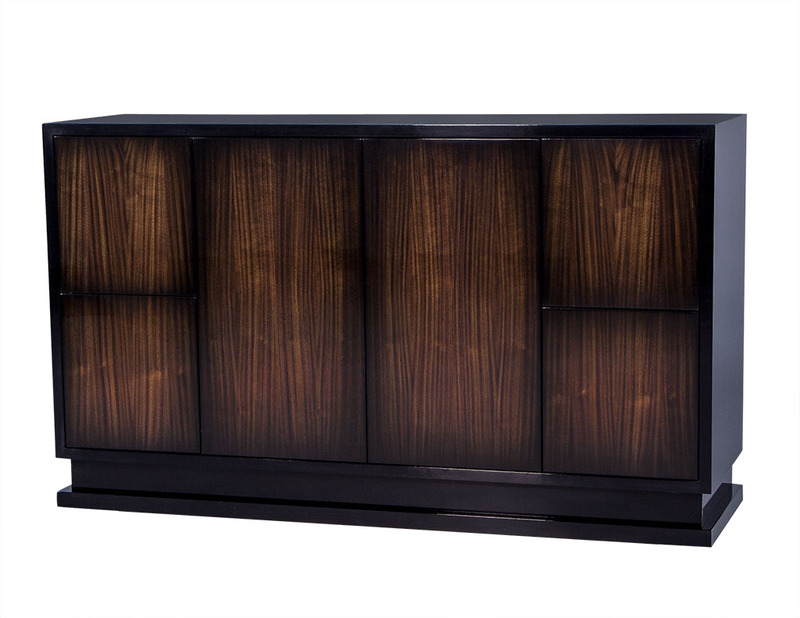 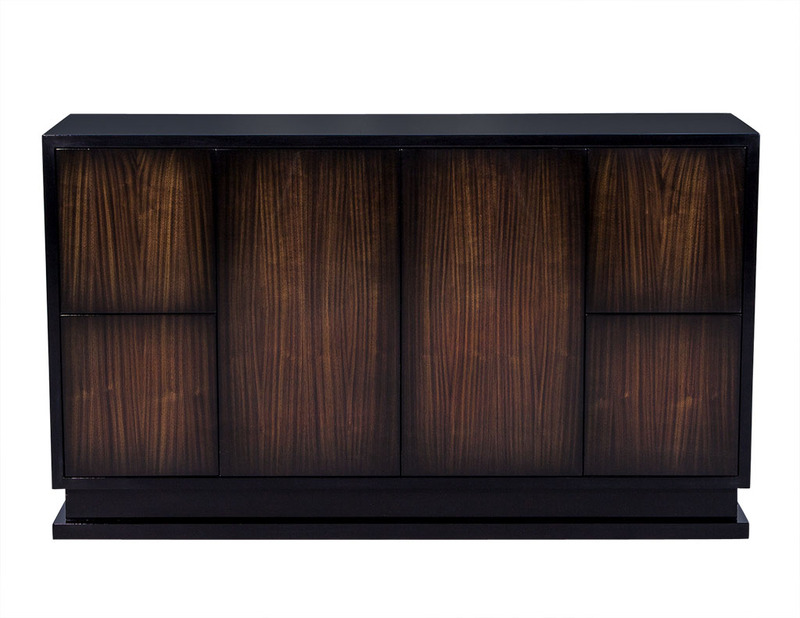 This transitional style buffet has a gorgeous, deep wood grain exterior. 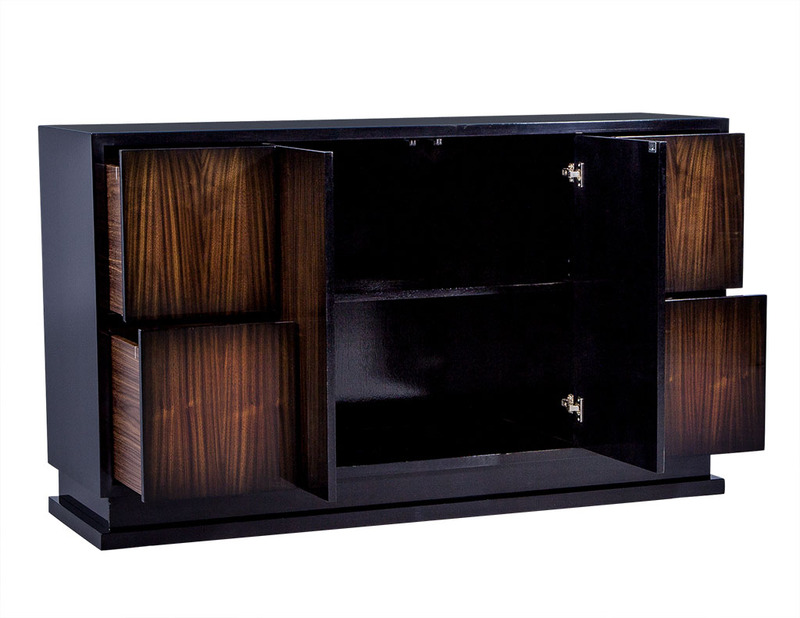 Crafted of walnut with two central doors and two drawers on each side, it houses two shelved compartments and sits atop a wide plinth base. 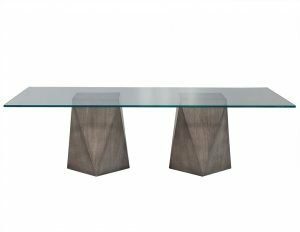 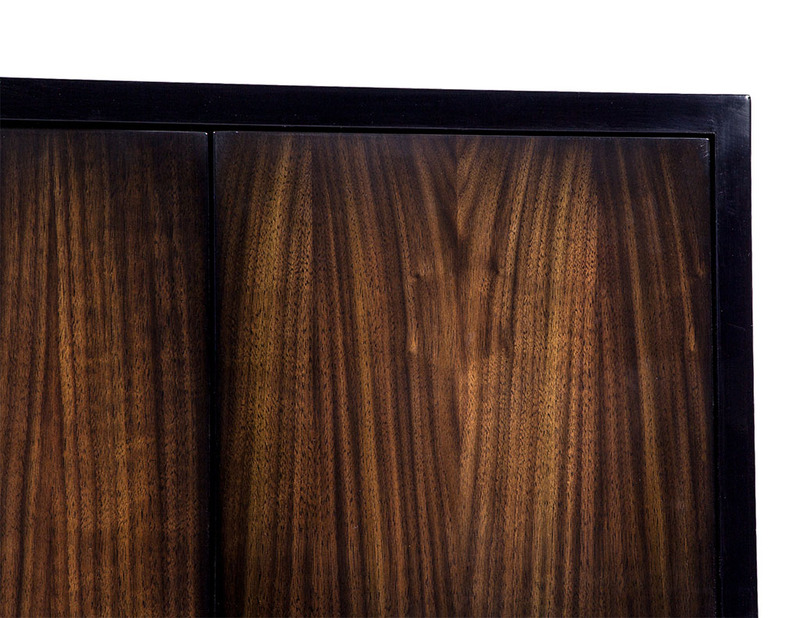 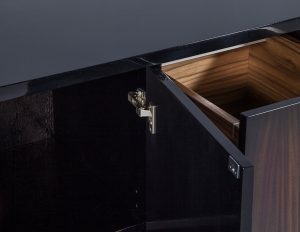 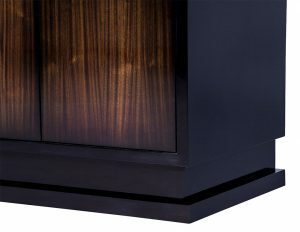 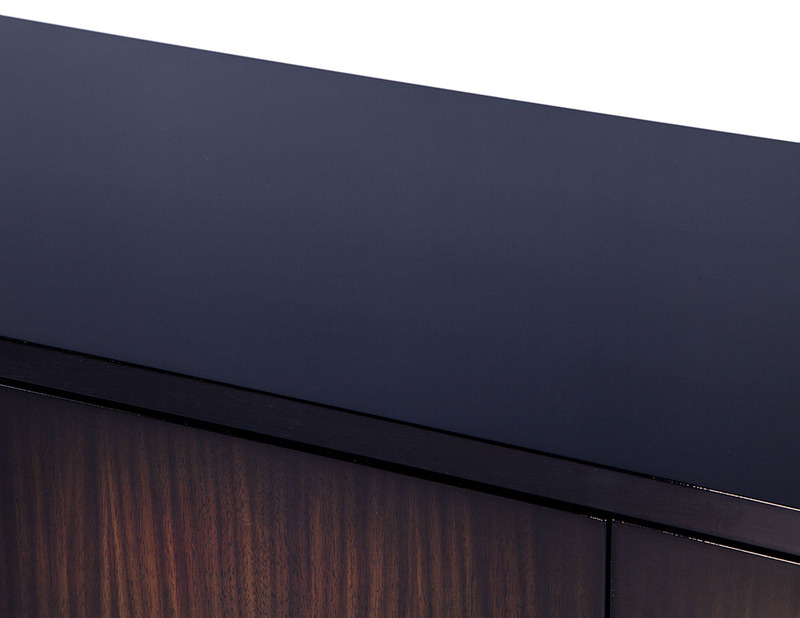 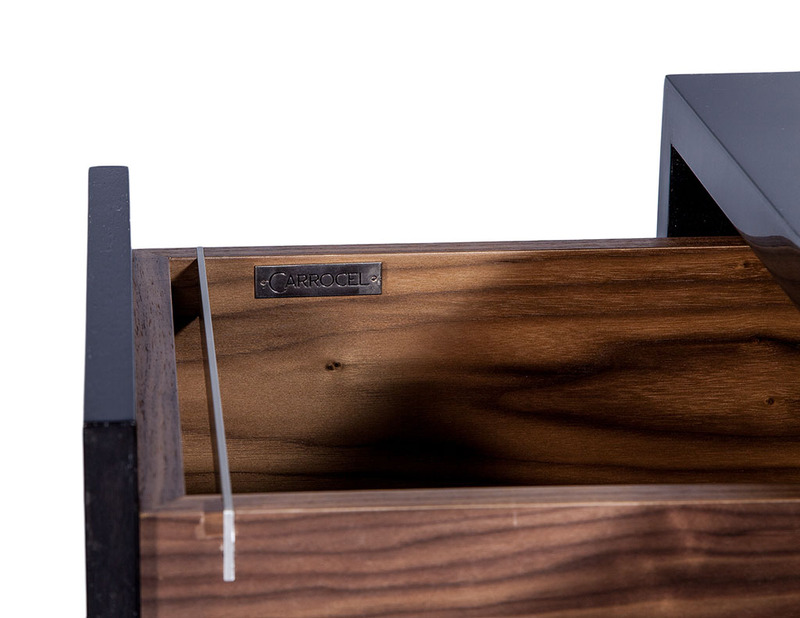 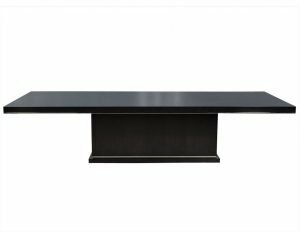 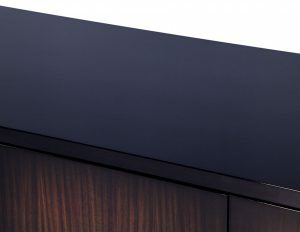 A very linear look and a custom piece made to order here in Canada – please inquire for modified dimensions and finishes.